For some time, the village of Millers Hollow has been afflicted by werewolves who attack each night. 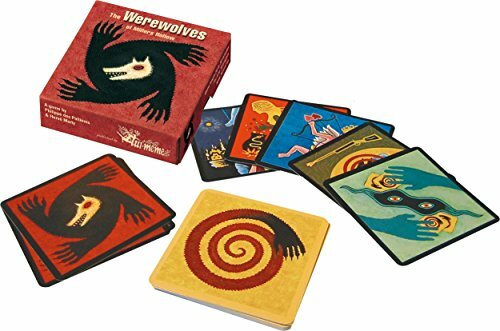 The village inhabitants must find out who among them are werewolves before they all fall victim to the evil creatures...Werewolf or villager?You draw a card which determines your secret identity. You play out your role under the direction of the game leader.You are a werewolf.Your goal: To eat a villager each night. 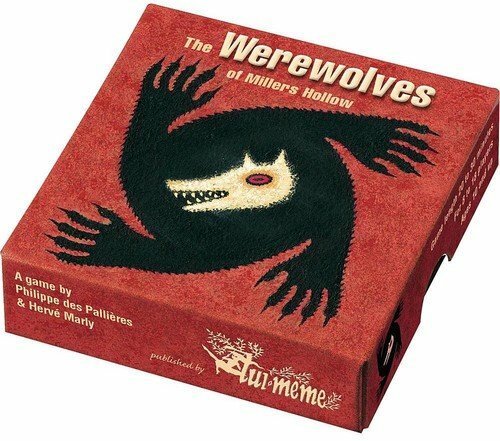 During the day you are an honorable citizen.You are a villager.Your goal: To discover the werewolves and to convince the other players to take them out (and make sure you don't get mistaken for a werewolf). No easy task. But fortunately there are a few villagers with special abilities: The old seer, the hunter, the witch... They will be helpful in defeating the werewolves.